Are you planning a vacation to Scandinavia with your family? 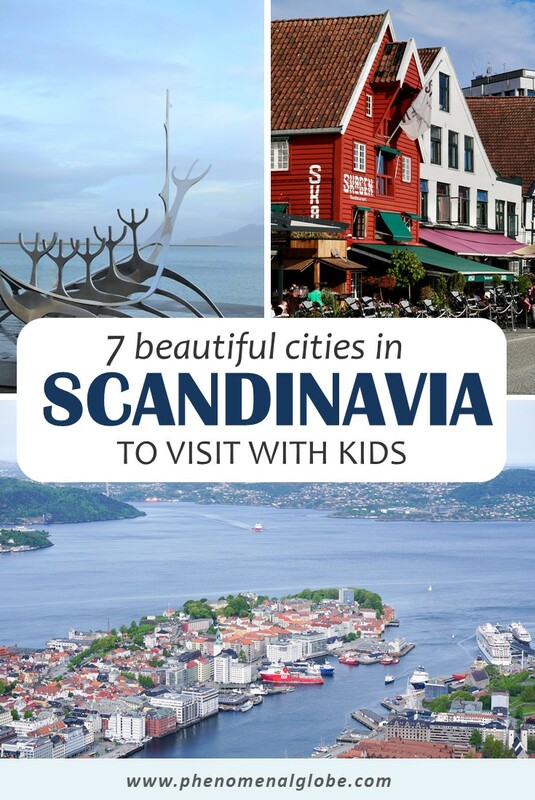 Or are you wondering which cities to visit in Scandinavia with kids? You have come to the right place! Since becoming parents in 2018, Frank and I have taken our son on several (city) trips. We have been to Greece, London and recently went skiing in Austria. Traveling as a family is very different from traveling as a couple, but we absolutely love it! To provide you with lots of travel inspiration, I’ve asked family bloggers about their favorite kid-friendly cities in Scandinavia! 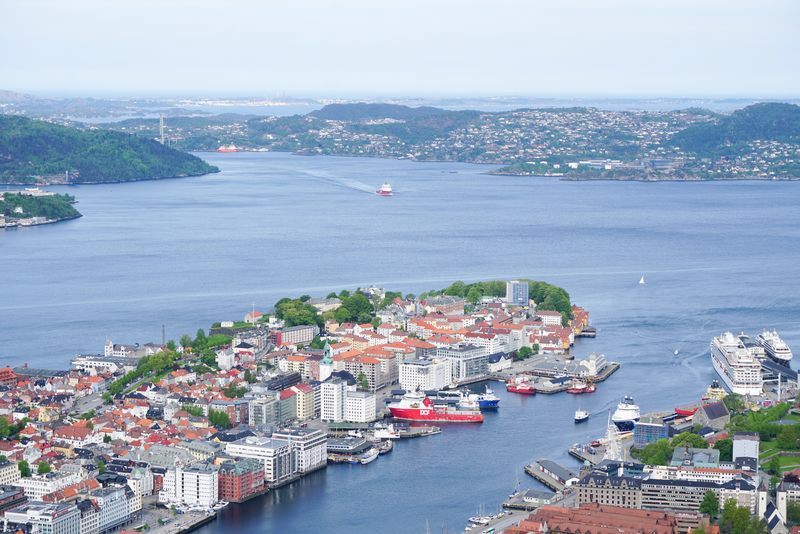 Also read which kid-friendly cities to visit in East Europe, West Europe and the U.K.
Dhara from It’s Not About the Miles: Bergen, the second-largest city in Norway, is a wonderful city to visit with kids, with lots of fun things to do. Take a ride on the funicular to the top of Mt. Floyen, for panoramic views over the city. At the top, look for the cashmere goats of Mt. Floyen, which help to keep vegetation in control. Younger children will love the Troll Forest trail, where you can look for trolls and cross a “Three Billy Goats Gruff” bridge. There is also a kids’ playground with slides and swings. Older kids can try the obstacle course leading into the forest. With older kids, you can walk down the mountain back to Bergen in about an hour. In the city, kids interested in history will enjoy seeing interiors from Hanseatic League times at the Hanseatic Museum in Bryggen. 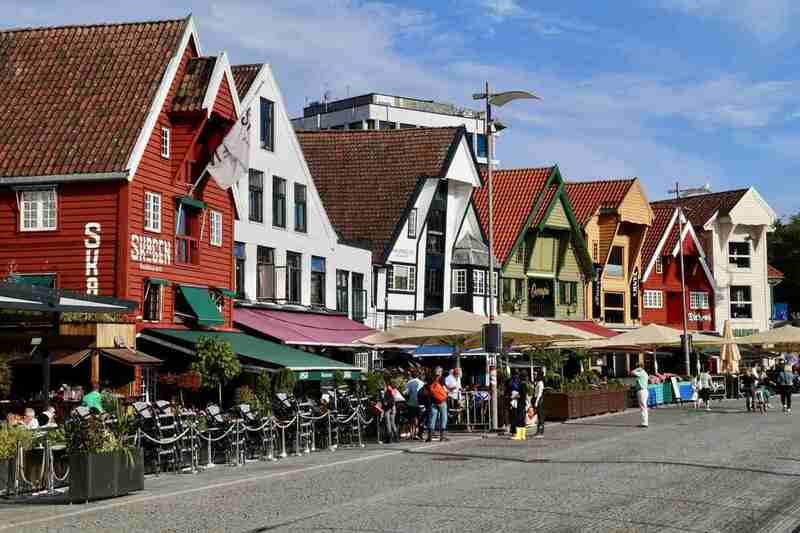 You can also visit the famous fish market of Bergen and stroll around Bryggen, the UNESCO site in Bergen. Kids of all ages will enjoy interactive exhibits at the VilVite BergenScience Center. Another fun museum is the Children’s Art Museum in KODE4, part of Bergen’s downtown art museum complex. 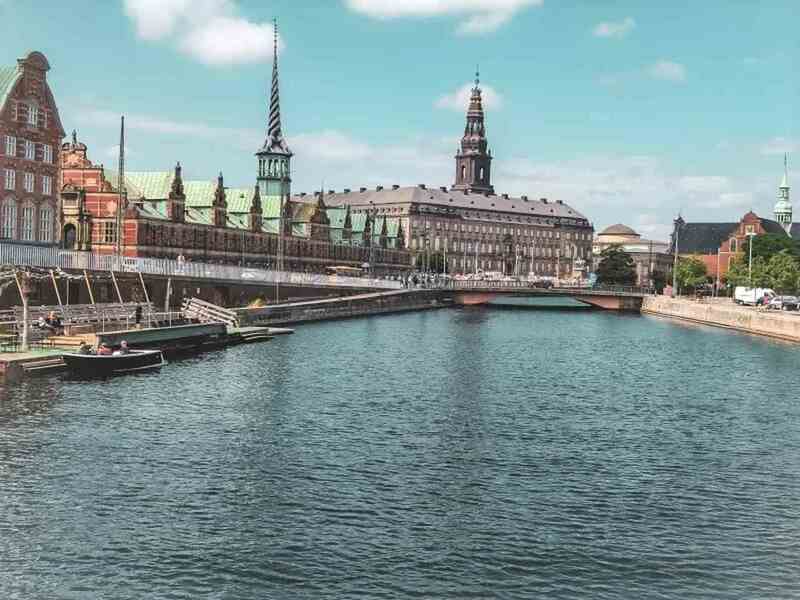 Anjali from Travel Melodies: Time and again, Copenhagen is named as one of the best European cities to travel with kids. It’s no surprise, as Copenhagen loves kids. The statement is also true the other way around: kids love Copenhagen. The vibrant city surprisingly embraces kids of all ages and interests. From dewy-eyed one-year-olds to the critical and ever demanding teenagers. Children’s beloved fairytale writer, Hans Christian Anderson’s home is a big small capital city. Copenhagen is big enough to have all the luxuries and comforts of a metropolitan and small enough to be navigated effortlessly with kids. From fairy-tale castles to the colorful and eye-catching buildings, from world’s oldest and second oldest amusement parks to the unconventional science center, from the largest aquarium in Northern Europe to the largest open-air museum in the world, from painstakingly designed open green spaces to the restaurants serving innovative kids menu; the city has so many fun activities for kids that they won’t want to leave Copenhagen. Oh, and did I mention a mere 3 hour drive from Copenhagen can take you to the birthplace of Lego – Billund? Efficient public transportation with child-specific needs makes it easy to navigate the city with kids. Whether your little ones know or don’t know how to ride a bike, there’s no better place in the world to make them ride or make them learn to ride than in the world’s favorite biking city of Copenhagen. Rent a junior bike from any of the bike rentals and let them ride the city. With exclusive bike lanes, bike bridges and the Danish Cycling Federation’s Route Planner, cycling has never been easier. Alternatively, you can rent a bike trailer where you pedal for the kids while they explore the wonderful, wonderful Copenhagen. Fælledparken Traffic Playground is the best place to introduce your kids to cycling education. Halef and Michael from The Round The World Guys: although it has a reputation for being one of the most expensive cities in the world, Oslo has its own charm that suits every age, including children. In general, Norwegians and other Scandinavians are very friendly with kids. Drivers drive carefully and road safety is a priority. Whether on a bike or on foot, Oslo is a lot of fun to explore with children! Take the ferry for a day trip to a few wooded and natural islands on the Oslo Fjord. It’s a blast for young and old. There are plenty of outdoor exploration options, and even a dedicated museum just for kids. 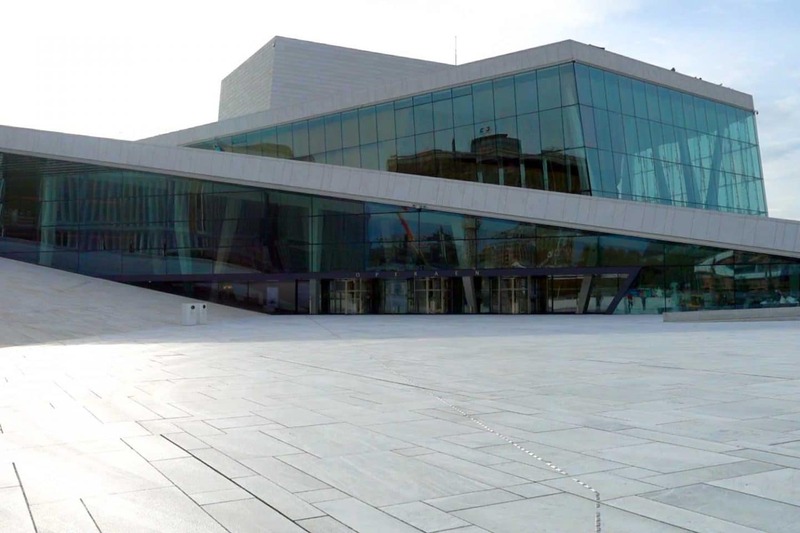 Some of Oslo’s landmarks, including Oslo City Hall, and the Oslo Opera House ramps, can be extremely fun for kids. One budget tip: while it really depends on what you like to do, we recommend that you consider buying the Oslo Pass. It can save you a lot of money and there are discounted passes for kids, which can be very useful and helpful for the whole family! Jenny from Travelynn Family: whether you’re using the city as a base for your Iceland travels, or just spending an afternoon, Reykjavik is a fascinating place to explore in its own right, with lots to keeps kids entertained (in both good and bad weather). We visited Reykjavik at the end of a 5 day Iceland road trip with our kids (aged 3 and 5). Start by taking a walk along the seafront to The Sun Voyager and get a birds eye view of the city from the top of Hallgrímskirkja, then perhaps pop along to Laugardalslaug. Laugardalslaug is the largest geothermal swimming pool in Iceland, complete with a slide and hot pools. Entry is only ISK980 (approx. £6.20) for adults, ISK160 (approx. £1) for children, and FREE for children under 5 (a fraction of entry costs to the Blue Lagoon). If you want to escape the cold or wet weather, check out one of the city’s museums. The Saga Museum, or Whales of Iceland, is your best bet with kids. And finally, you must try out a hot-dog from the renowned Bæjarins Beztu Pylsur, mouth-wateringly delicious! 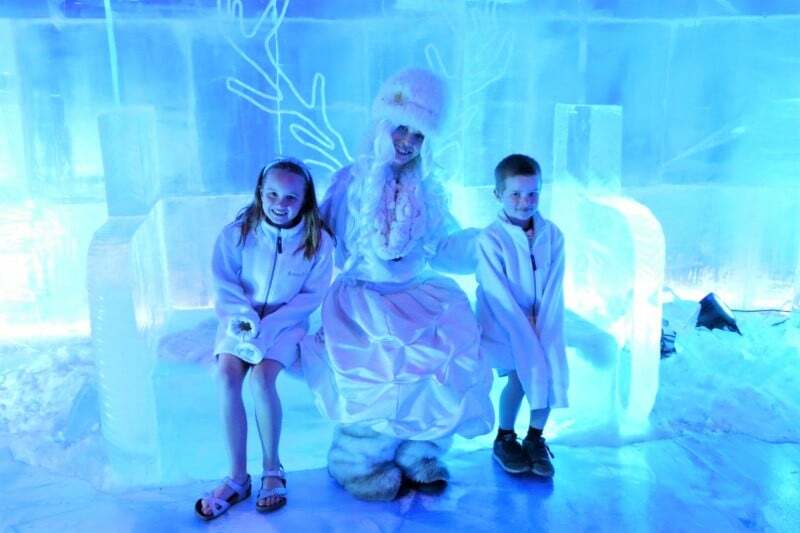 Kylie from Our Overseas Adventures: Rovaniemi in Lapland is a fabulous city in Finland to visit with kids, because it’s the one and only ‘official’ home of Santa Claus! When visiting this remote part of the world you can pay a visit to the big man himself, post a letter from Santa’s post office and visit the fun Santa Park Arctic World Christmas theme park. You can also cross the official Arctic Circle line itself which is quite a thrill for kids and adults alike. One of the best things about Rovaniemi is that it’s a year-round destination. In the summer months, you can stay up late and show your kids the wonders of the Midnight Sun, although you may like to pack a travel blackout blind for this as it can be hard to sleep with 24 hour light! There are also many family-friendly hikes through pristine forests where you can pick blueberries and cloud-berries and spot wild reindeer. In the winter months, there’s still plenty to do if you wrap up warm including spotting the Northern Lights, many winter sports like skiing and ice-skating, or see incredible working husky dogs in action. Nicky from Go Live Young: this summer we spent three spectacular weeks on a road trip through Norway. Stavanger quickly became our favorite Norwegian city as it’s a wonderful city to visit with kids. Stavanger on the west coast of Norway has many things going for it: its location on the edge of the Lysefjord, a beautiful bustling old town, several interesting museums and some spectacular hikes with dramatic scenery all within easy distance the city. There is plenty to do in Stavanger! You can wander its cobbled-stone Old Town and colorful town center. Or visit a child-friendly and interactive museum, like the Norwegian Canning Museum (to find out all about Stavanger’s sardine canning history) and or the Norwegian Petroleum Museum (to find out all about oil exploration). Alternatively, you can cruise the Lysefjord for spectacular fjord views or enjoy the outdoors by hiking to Pulpit Rock (Preikestolen) for even more spectacular fjord views. Stavanger is super family friendly and should not be missed on any Norway itinerary! Tea Gudek from the Culture Tourist: from chasing the Vikings to enjoying in Swedish food, Stockholm is a great place to visit with kids. It’s located on fourteen islands and a beautiful green city, with parks and trees everywhere. In the center of Stockholm and Gamla Stan area, many cobbled streets and historical buildings could be found. It’s also a place where the Royal Palace is and where the change of guards could be seen daily. It’s also a home to so many museums that are either completely dedicated to kids or have large areas with workshops and fun activities for children. Djurgården Island, also known as the island of museums, is where majority of them can be found. Completely covered with forest, it is also a home to many restaurants, some of the best views on Stockholm and Tivoli Amusement Park. Skansen, world’s oldest open air museum is where an old 19th Century village can be explored with people explaining how life looked like back in that time. In the Vasa Museum a real 17th Century ship that sunk on its maiden voyage is on display. And Junibacken is a children books museum with a ‘story-train’ taking you on a journey in a world of some of the most famous Swedish stories. 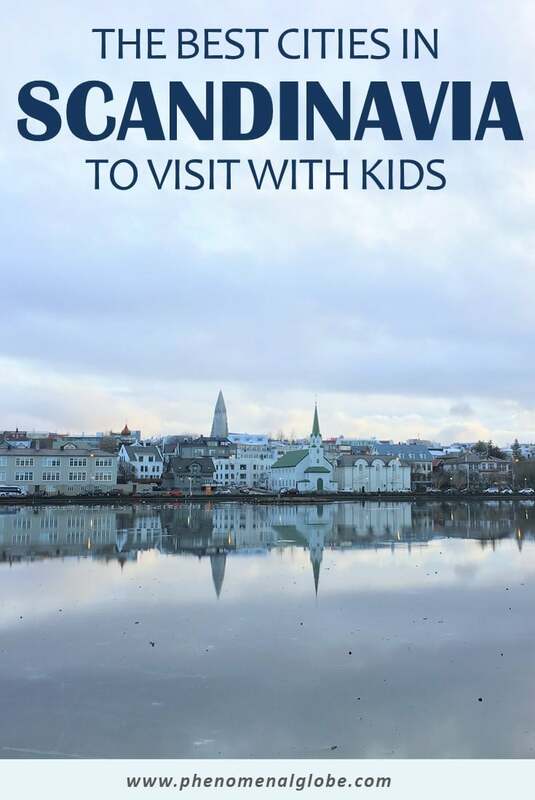 I hope this list has inspired you to plan a family trip to Scandinavia, happy travels! Wow! The post has come out well. Thank you so much for the collaboration opportunity. I love Scandinavia and Nordics region. It has a different and unique feel that pulls me. We have explored Denmark, Norway, Finland, and Sweden. Hope to tick Iceland off our list in June this year.